New Corner SOVO D'sara Sentral, sg buloh office to Let. 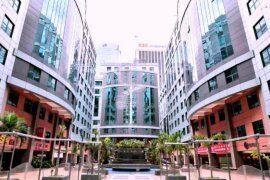 Private Office / Virtual Office - Plaza Sentral for rent. Furnished Suite Office Are Ready at Plaza Mont Kiara. 1 Mont Kiara Instant/Virtual Office (Ready To Move In). Desa ParkCity - Modern Private Office Free Internet For Rent. 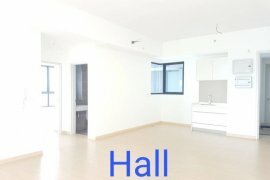 Big corner unit facing main road Bukit Rahman Putra, Sungai Buloh. WANT TO LET CORNER LOT SHOP OFFICE 1ST FLOOR , KUCHAI BUSINESS PARK, KUCHAI LAMA, KUALA LUMPUR. 24h Accessibility Instant Office in Fraser Business Park. Furnished instant office in Megan Avenue 1. Ruangan pejabat yang diubahsuai khas untuk disewa - untuk keperluan lima atau enam orang - di Selangor!. Exchange 106 Tower, Grade A MSC Status Office at TRX, Near MRT Station, 3568sf. Convenient Instant Office in Fraser Business Park. Personal office room and Co-working space at Subang U5. Nucleus Tower, CO-Working Hot Desk, For 1 pax use, MSC, Near MRT Station. KL33, Serviced Office, For 2 pax use, Near LRT & Monorail Station. Setia Walk Mall, CO-Walking Fixed Desk, For 1 pax use, Near LRT. Instant office for rent in Megan Avenue 1. Dot Property Malaysia is an online property portal where thousands of property searches happen every day. Start your search today for affordable property for rent in Malaysia from 452 available listings. Condominiums, houses, townhouses, villas, commercial space, and luxury properties are available for rent in Malaysia. Malaysia’s properties for rent are either listed by private home owners or property agents such as Accom Asia Co.,Ltd, brylle martinee and Deux Diaz. Refine your search to help you find the perfect Malaysia property by price and number of bedrooms.